simplify how employees and consumers access branded items. Our online company stores are packed with all the features you need to optimize your workflow. We customize the site’s design to match your brand and give you control to manage users, budgets, and more. Our platform is constantly getting updated and we are happy to adapt it to your needs. 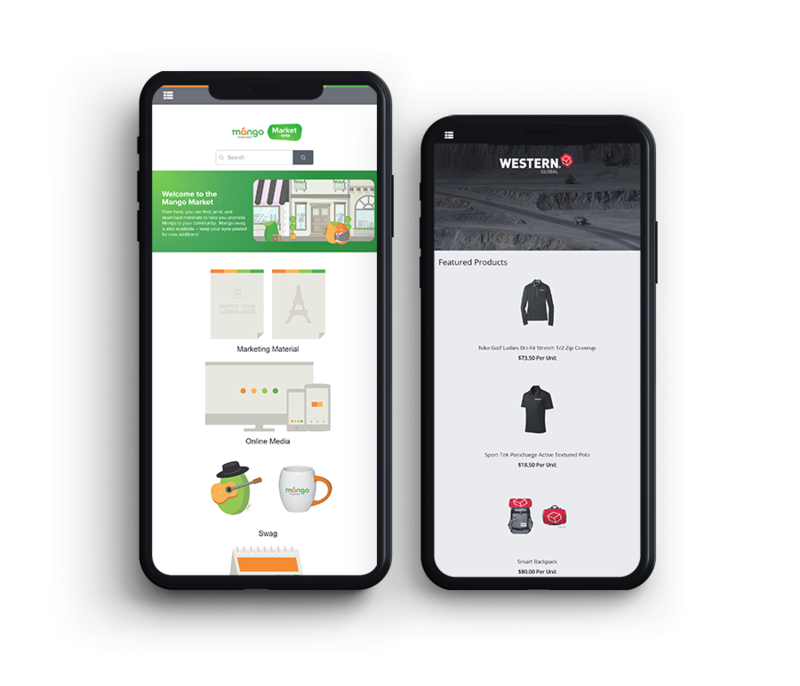 With an online company store, it’s easy to distribute everything from branded apparel to promotional products to variable print products for the people who need it. That means the sales team that just smashed their goal for the month can grab branded jackets as their reward in the same place that accounting can order their new business cards. And if you’re the manager, you can easily place the order for all of them. We don’t stop at just an online company store. We want to work with you as a marketing partner for years to come. That’s why we offer a dedicated account rep that you can always reach out, fulfillment solutions for all your needs, and branded merch recommendations tailored specifically for your company.